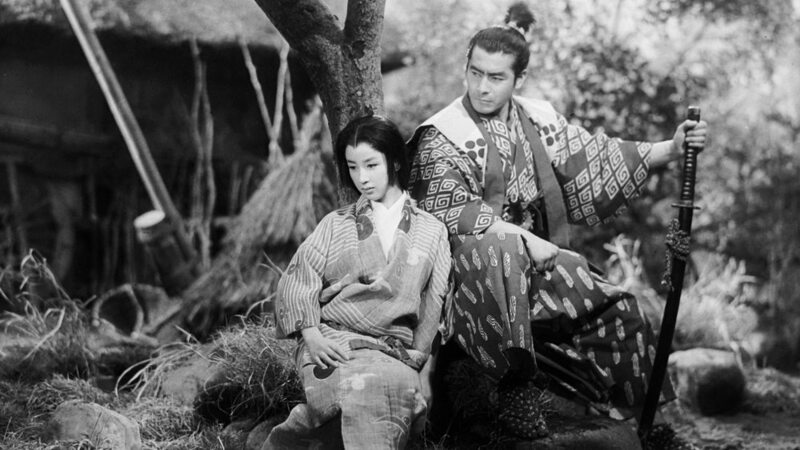 Toshiro Mifune played Miyamoto Musashi and Kaoru Yachigusa played Otsu in the “Samurai Trilogy” (1954-56). The Hollywood Chamber of Commerce announces that Toshiro Mifune will be honored with a posthumous star on the Hollywood Walk of Fame on Monday, Nov. 14, at 11:30 a.m. The star, which is numbered 2,594, will be presented in the category of Motion Pictures at 6912 Hollywood Blvd. “Mifune: The Last Samurai,” a new documentary by Academy Award-winning filmmaker Steven Okazaki, will open theatrically in Los Angeles on Dec. 2 at Laemmle’s Ahrya Fine Arts Theatre as well as Nov. 25 in New York and Dec. 9 in San Francisco, with a wider national release to follow. The film explores the accidental movie career of Mifune, one of the true giants of world cinema. AFI Fest 2016, presented by Audi, will screen “Mifune: The Last Samurai” on Sunday, Nov. 13. Helping emcee and Hollywood Chamber President/CEO Leron Gubler to unveil the star will be Okazaki and Mifune’s grandson Rikiya Mifune. The Hollywood Chamber of Commerce, which administers the popular star ceremonies, encourages people who are unable to attend and fans around the world to watch the event live exclusively on www.walkoffame.com. 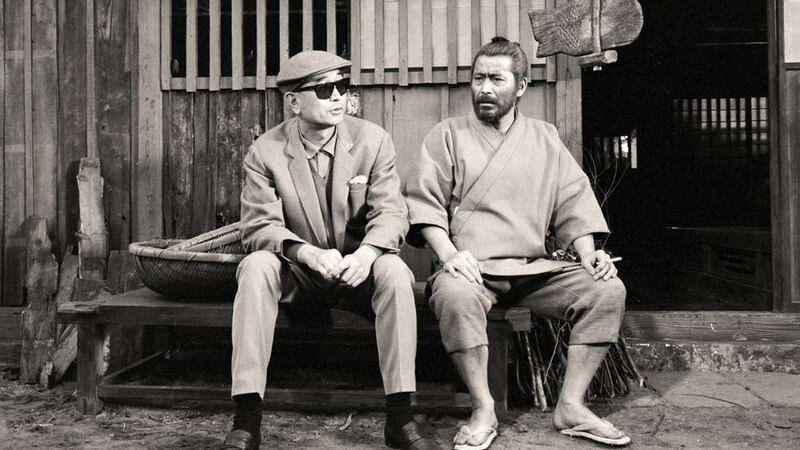 Toshiro Mifune and director Akira Kurosawa on the set of “Red Beard” (1965). Mifune starred in over 150 films during the golden age of Japanese cinema. He is mostly known for his 16 films with director Akira Kurosawa, and has become the archetype of the samurai. Mifune was born on April 1, 1920 in Qingdao, China to Japanese parents who ran a small photo studio. He spent his childhood in Dailen, China until he was drafted in 1940. Due to his background in photography, he served as an aerial photographer, taking pictures of enemy grounds. Later in the war, was in charge of taking portraits of young pilots before they flew off on kamikaze missions. When the war ended, he was dismissed from the Imperial Japanese Army and returned to Japan. Looking for a job as a photographer, he arrived at Toho Studios to apply for a position. As fate would have it, his application was submitted to the acting division and Mifune ended up auditioning for an actor’s position. During the audition, the interviewers made several rude requests to Mifune to express certain uncomfortable emotions, which made him furious. People who witnessed this compared him to a ferocious beast trapped in a cage trying to break free. His reputation quickly spread throughout the studio, and rumors eventually reached Kurosawa, who at the time was already a successful director at Toho Studios. Although Mifune had failed the audition, due to Kurosawa’s request, he was accepted as an understudy. Mifune was unhappy about this but was convinced to stay in the actors’ division until there was an opening in the photography department. At age 27, Mifune was selected to play a bandit in the film “Snow Trail,” written by Kurosawa. He was partnered with the veteran actor Takashi Shimura. After seeing Mifune’s performance, Kurosawa’s belief in him was vindicated. Mifune reached stardom in Japan after his third film, “Drunken Angel,” where he played a struggling gangster with a terminal illness. Kurosawa was in awe of the speed and dynamics of Mifune’s acting. Following the success of “Drunken Angel,” Mifune officially joined Kurosawa’s team and collaborated in films including “Stray Dog,” “Silent Duel,” and “Rashomon,” which won the Golden Lion award at the Venice Film Festival, placing Japanese cinema on the map. Four years after the success of “Rashomon,” Mifune and Kurosawa began working on their epic “Seven Samurai,” which later became their legacy. The samurai pretender that Mifune played was the origin of his status as filmdom’s samurai icon. The collaboration between the two innovators continued with such powerful films as “Throne of Blood,” Kurosawa’s adaptation of Shakespeare’s “Macbeth”; “The Hidden Fortress,” the film that influenced George Lucas’ “Star Wars”; “Yojimbo,” which was remade as Clint Eastwood’s “A Fistful of Dollars”; and “Red Beard,” which won Mifune his second best actor award at the Venice Film Festival. After “Red Beard,” Mifune began his international career with a Mexican film called “The Important Man,” which was nominated for an Academy Award for best foreign picture. Other foreign films include John Frankenheimer’s “Grand Prix,” “Hell in the Pacific” with Lee Marvin, “1941,” directed by Steven Spielberg, and “Red Sun,” co-starring Alain Delon, Charles Bronson and Ursula Andress. 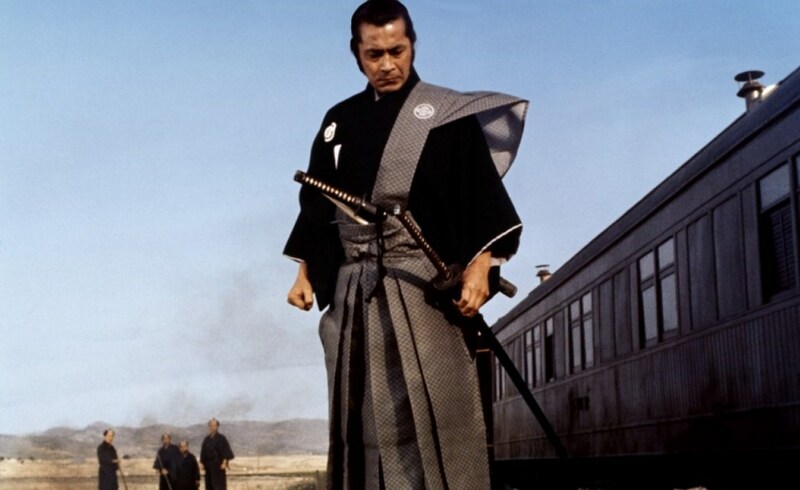 Toshiro Mifune in a scene from “Red Sun” (1971). Mifune kept receiving international offers, including the role of Obi-Wan Kenobi in “Star Wars,” and Mr. Miyagi in “The Karate Kid.” However, Mifune had his own production company and had to prioritize his work in Japan, which resulted in turning down many such offers. Mifune was known for his modesty and perfectionist character. He was always the first one on set and was always fully prepared, never bringing his script during filming. He contributed to the rise of postwar Japan, giving hope to the citizens through cinema. Mifune was honored with the Purple Ribbon Award in 1986 and the Sacred Treasure Award in 1993 from the Japanese government. He was also honored by police authorities for his heroism when he rescued stranded civilians during a major flood in 1958 with his private boat. He passed away on Dec. 24, 1997 at the age of 77 in Tokyo. All star ceremonies are free to attend; there are no tickets. A public viewing area is provided. Wear comfortable shoes, hydrate, and bring sunscreen. Chairs or stepladders are not allowed in the audience area. The ceremony begins promptly at 11:30 a.m. and will be over by 12:15 p.m. Crowds need to disperse immediately following the ceremony as the sidewalk and the street must be given back to the community. In addition to the live streaming, the complete ceremony will be available anytime on www.walkoffame.com.